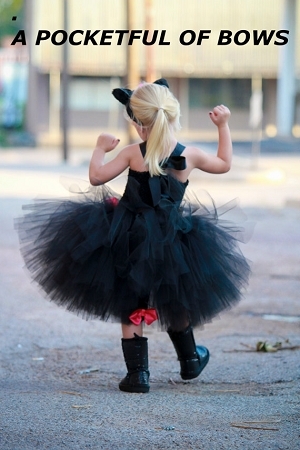 Black cat tutu dress costume This tutu dress is solid black. It has a lined top with pink bow accents and black stain halter straps. The skirt is the extra fluffy style with added fabric for a fuller look. 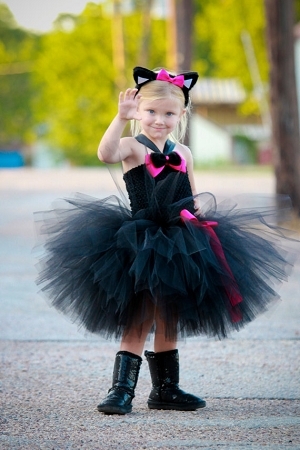 The set includes cat ears with a pretty pink bow and a cat tail with a matching pink bow. Larger girls sizes in Girls, Teen Adult Section.